Should You Reveal Your Atheism to Your Family? Should You Reveal Your Atheism to Family? Many atheists struggle with deciding whether they should reveal their atheism to their family or not. Especially if a family is very religious or devout, telling parents and other family members that one not only doesn’t accept the family’s religion anymore but in fact rejects even belief in a god, can strain familial ties to the breaking point. In some cases, the consequences can include physical or emotional abuse and even having all family ties cut off. It’s very common for atheists to encounter snide anti-atheist comments and sometimes even outright bigotry from their family—even if they aren’t out as atheists. Such attitudes are one reason why people hesitate to tell the truth about themselves; it’s also a reason why coming out is important. People need to understand that atheists aren't immoral monsters. When you encounter such bigotry, you should calmly explain why it’s wrong and simply walk away if they refuse to stop and respect you. How Should You Reveal Your Atheism to Your Family? Your atheism doesn’t just affect you—by telling others, you are fundamentally altering your relationship with your religious family members. Perhaps people shouldn’t take it personally that you are trying to find your own path, but the fact of the matter is they will, and you should take their feelings into consideration. I don’t mean you should stop being an atheist or pretend to be a theist, but you should take others’ feelings into account in how you phrase things. What if Your Family Is Upset? To a large extent, how you proceed will depend a lot on what your social and financial relationship is with your family. If you are a financially independent adult living on your own, you have quite a few more options open to you than if you are a teenager still living at home. You will also need to ask yourself to just what extent you want to repair the damaged relationships with your relatives. You can’t stop people from being upset, unfortunately. What if Your Family Says You’re Just Going Through a Phase? It is worth pointing out to your family that in a sense we all, theists and atheists, maybe “going through phases” because we don’t necessarily retain the same beliefs and attitudes throughout our whole lives. Anything might be a “phase” for us, but that doesn’t mean we haven’t given it a lot of thought. If you emphasize that you continue to question and study, perhaps they won’t think that you aren’t being serious. What if Your Family Wants You to Hide Your Atheism from Others? A common reason for doing this is that people want to keep up appearances—they themselves are no longer very devout, even though they continue to believe, but they fear the social repercussions which would result from openly revealing their true feelings. As a consequence, they don’t want you to rock the boat by openly declaring what you believe. What you do will depend upon the exact circumstances—and no matter what you choose, you won’t be able to make everyone happy. What If Your Family Wants You to Keep Going to Church? If you are young and living at home, there probably isn’t much you can do no matter what your family’s motivations are. If there is no way you can reasonably get out of going to church, the most you can do is try using the trips as a learning experience. If, on the other hand, you are independent, you’ll have to decide which is more important: going to church services you hate or maintaining some measure of family harmony. What If Your Family Says You’re a Bad Influence on Others? One problem faced by many atheists whose families object to atheism is the idea that you may be a bad influence on others in the family such as younger siblings, nieces, nephews, etc. Your family thinks that you are on a bad path and don’t want you to cause others to follow you. You won’t be able to change anything overnight; on the contrary, any changes you are able to effect will probably take some time and work. For everyone's sake, you should maintain whatever contact you can. What If Your Family Tries To Reconvert You? 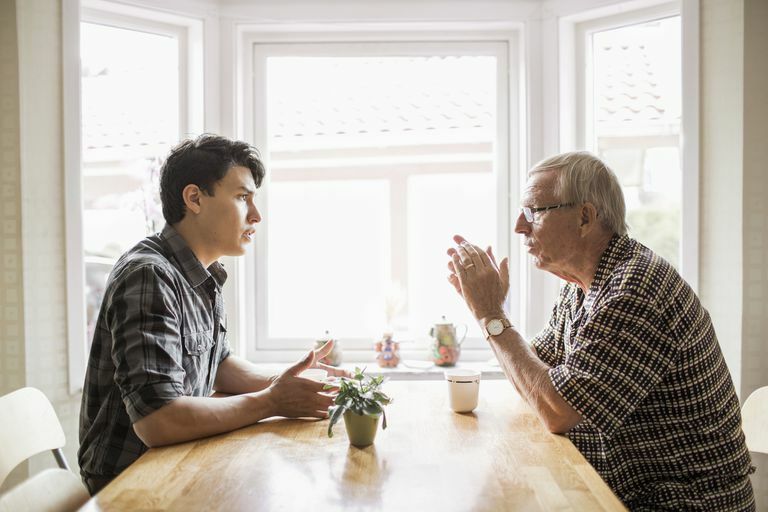 If you are young and living at home, your options will be limited and you may have to put up with a certain amount of such proselytizing from your family. If you are an adult and independent, however, you may have to choose between putting up with your family’s behavior and causing the rift between you to grow wider. You may, for example, be faced with the possibility of simply walking away from your family, at least temporarily, if they refuse to respect you. Is Revealing Atheism to Family Worth the Risk? It may seem easier to simply “stay in the closet” and not tell anyone. Sometimes, this may be a reasonable course of action. For example, if you are a young person still living at home and have a realistic basis for thinking that your parents might shun you or even kick you out of the house for being an atheist, keeping quiet would be wise. Aside from such extreme situations, however, you should consider carefully before going too far down the path of remaining in the closet because it brings a lot of problems you may not want to deal with later on. For one thing, you may develop a lot of resentment not only towards your former religion (if you aren’t too resentful already, that is) but also towards your family because you feel like they are forcing you to live a lie by pretending to still be religious. Also, you may at some point be expected to continue doing all sorts of things which you find objectionable, such as regularly going to church or participating in religious ceremonies. If you ever do tell your family about your atheism, you may find it difficult to explain that you have been a nonbeliever for years or decades without saying anything. All of this can be psychologically and emotionally draining, especially when it occurs over a long period of time. On the other hand, precisely because telling others about your real beliefs and real feelings can be difficult, it can be an important step towards becoming more self-confident and mature. You could also be doing a lot to encourage better attitudes towards atheists by demonstrating how they can be moral and mature people. Perhaps there are other members of your family who also have doubts or who disbelieve—by speaking up, you will find that you share more in common with them and will also help them come to terms with who they are. Should You Be Open About Your Atheism?